Does Vitamin D Deficiency Cause Joint Pain? Vitamin D deficiency and joint pain are closely linked since one of the symptoms of a deficiency of vitamin D is joint pain. Until recently, joint pain was not always associated with a deficiency of vitamin D. However, most doctors and other healthcare professionals are now aware of the link between joint pain and vitamin D levels. Vitamin D is commonly referred to as "the sunshine vitamin" because your body can produce it on its own when your skin is exposed to sunlight. Vitamin D is essential for skeletal growth and strong bones. Many people suffer from a deficiency of this vitamin. A vitamin D deficiency can be prevented by spending time outside with your skin exposed to sunlight, consuming foods rich in vitamin D and taking a supplement. 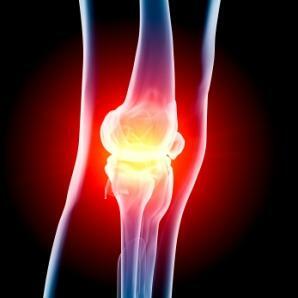 It is now becoming more understood that a vitamin D deficiency and joint pain are linked. Common pain conditions associated with a deficiency of this vitamin include fatigue, as well as muscle, joint and bone pain. The exact link between a vitamin D deficiency and these ailments is still being studied. More extreme consequences of a deficiency of this vitamin include rickets in children and softening of the bones (osteomalacia) in adults. In addition to these, a vitamin D deficiency can cause a myriad of symptoms. The primary cause of vitamin D deficiency is lack of exposure to sunlight. Many people believe they need to completely avoid exposure to sunlight in order to prevent skin cancer. As a result, they cover their bodies with sunscreen every time they go outside. However, using too much sunscreen can cause more harm than good when it comes to maintaining adequate vitamin D levels. You can easily meet your vitamin D needs by spending just 15 minutes in the sun with your skin exposed during the warmer months. Individuals who live north of Kansas City will not be able to meet their needs for this vitamin via sunlight alone during the winter months, and will require a supplement from October through May. Food sources of vitamin D include animal products such as milk, cheese and butter, as well as some saltwater fish. Some foods including dairy and non-dairy milks, as well as breads and cereals are enriched with this and other essential nutrients. It is important to read labels when shopping in order to find foods that contain vitamin D.
Taking a vitamin D supplement is a good idea for most people who work indoors or who live in Northern locations. It is possible to take too much of this vitamin, so it is crucial you speak with your doctor or a Registered Dietitian before taking supplements. If you are suffering from joint and muscle pain, it is a good idea to consult your doctor and have your vitamin D levels checked. This can be done through routine blood work. By having your vitamin D levels checked, you can gain a better understanding of whether you need to take action to increase your intake of this important nutrient. An obsession among Americans to prevent skin cancer along with the majority of the population routinely spending most of their waking hours indoors has led to many people becoming deficient in vitamin D. Low serum levels of the sunshine vitamin is linked with many ailments, and the link between vitamin D deficiency and joint pain has become increasingly clearer as more people are becoming vitamin D deficient. Vitamin D is a fat soluble vitamin, which can build up to toxic levels in your body. Please speak with your doctor or other qualified healthcare professional if you are concerned about meeting your needs for vitamin D. Your body will thank you for it!